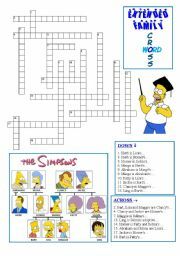 This is a worksheet based on the Simpson Family (just like the crosswords I shared previously). But this time, it is a QUIZ. So, you can use it to review family vocabulary (titular family and extended family too). There are 25 sentences and the second page comes with the answers. Hope it is useful! 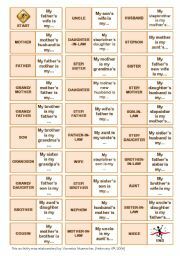 This is a crossword where students are to use Titular Family Vocabulary (father, mother, son, daughter, husband, wife, parents, children, brother, sister, siblings and sisters). 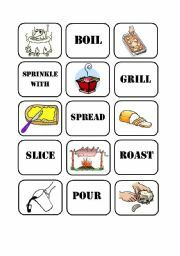 You can use it just for students to have fun or simply to review titular family vocabulary. Hope it is useful. 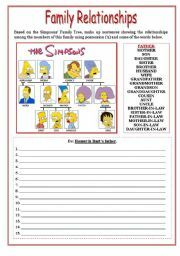 This is another Simpsons Family Worksheet! It is the 4th I have created based on this family tree (there are the crosswords and the quiz). 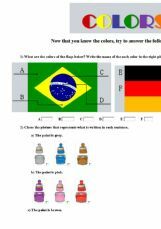 This activity requires the students to WRITE using POSSESSION. 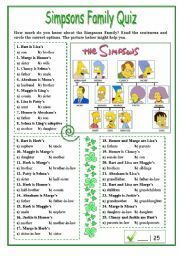 This way, students use the family vocabulary in the box to write real sentences about the Simpsons Family. Hope you like it. 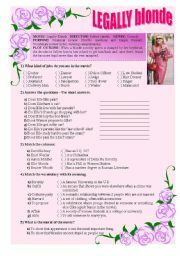 This activity is based on the movie Legally Blonde (2001), the first movie. It is based on different parts of the movie and it comprises different subjects (jobs, simple present, comprehension and new vocabulary). So, students watch the movie and answer the exercises. 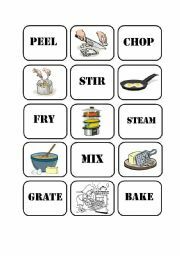 This is a simple memory game I used with my studets to review vocabulary. There are 15 verbs. I had to split it up into two parts because of the maximum size of worksheets. 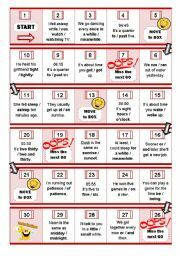 This is a boardgame to practice reading and speaking about TIME expressions and vocabulary. The rules and answers are included. By the way, you�ll see, this game was based on the SMILE game from Inside OUT resurce pack. But, it�s not copied. I liked the idea of the game, so I made this one. 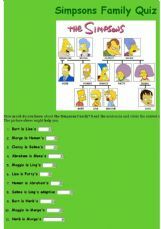 This online exercise is a QUIZ based on the Simpsons Family. You can use it to review family vocabulary (titular family and extended family too). Enjoy it and check how much you know about this family.